The Silver Screen.. Arguably the best way to get to the millions of people through a blend of art and entertainment. 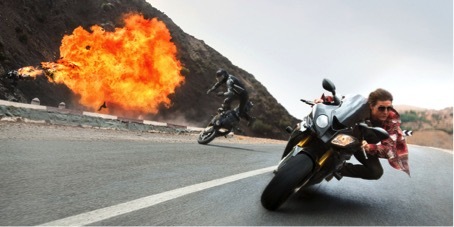 Brands are well aware of the fact and they are trying their best to be seen on the silver screen. As a matter of fact, all product placements in the movies are cleverly arranged actions instead of their total coincidence looks. Top dollar agreements between the companies and precise arrangements for the scenes get the most difficult sides. The quotes, moves, objects, locations and many other arrangements are always the attention grabbing details along the directors and the actors.In today's cinema those details are handled with more than ever before level of care making the movies unmissable channels for brands. 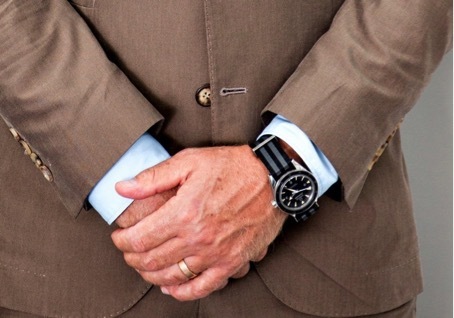 Watches take a well amount of credit in this regard as we quite often see the whole screen covered with a close up shot to the leading man's wrist. Though it sounds a little bit cliche, we find no harm to put together some famous “watch movies” for you to remember. Directed by the legendary Martin Scorsese, The Wolf Of Wall Street was a great success with Leonardo DiCaprio's spectacular performance.Though the movie did not get any Oscars ( as expected..? ) it has well received many positive reviews from notable film critics. 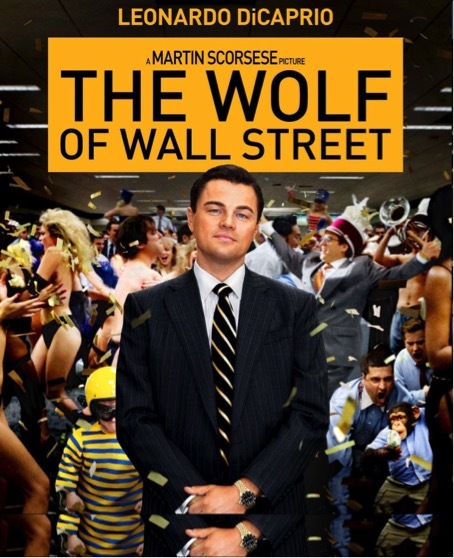 Actually the movie was based on Jordan Belfort's autobiography. 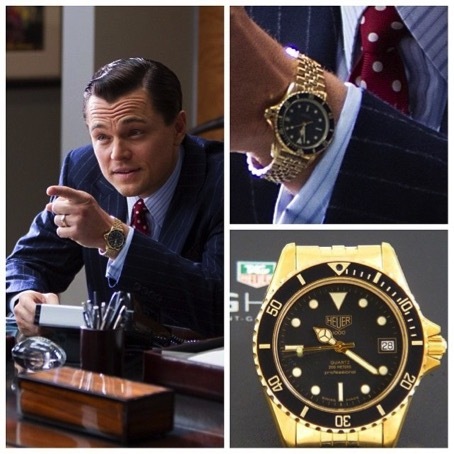 I am sure all watch aficionados easily spotted the gold tone watch DiCaprio wore during the film. Though the watch looked very much like an all gold Submariner/GMT Master on a Jubilee bracelet it was actually a TAG Heuer Professional 1000 with 984.013 Ref.Nr. The expression that Jordan Belfort character spread made the audience think that the watch was a Rolex at first with the help of the scenes barely showing the dial. 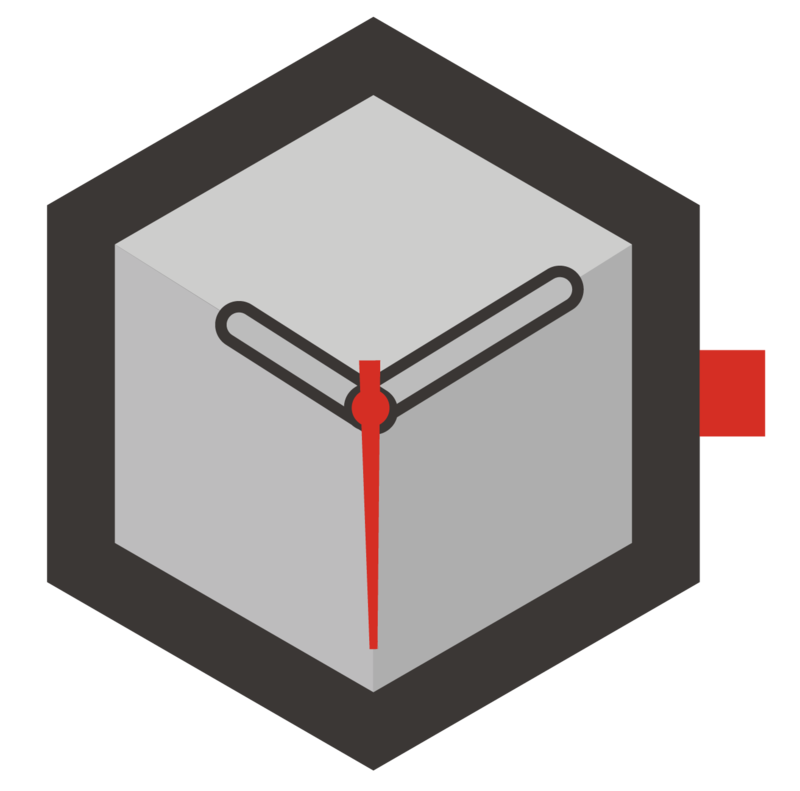 By the way, the watch was a not a solid gold watch either. It was a gold plated model from the 80s. The model sports a quartz caliber and a mineral crystal with a 41mm diameter case rated WR200M.The jubilee type bracelet is also a Rolex design copied by many brands including TAG Heuer. The production of the specific model is discontinued long time ago. Today's closest alternative is TAG Heuer Aquaracer 300M model. 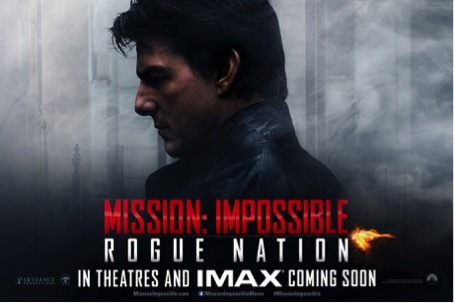 The famous TV series of the late 60s and 70s first shot for the silver screen at 1996.In the year 2015, the franchise had it's fifth sequel Rogue Nation. The leading character Agent Ethan Hunt is successfully played by Tom Cruise who looks like the living Benjamin Button because of his simply not aging looks making us say what the.. heck..? 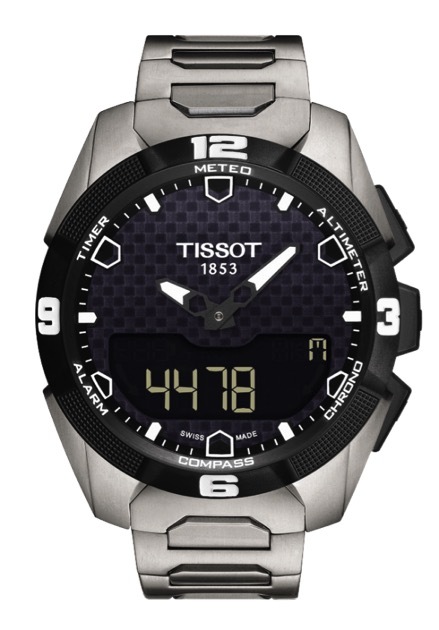 The latest sequel clearly shows a Tissot T-Touch Expert Solar T091.420.44.051.00 on Ethan Hunt's tech support wing man Benji Dunn ( played by Simon Pegg ). The Expert Solar model which was released in 1999 is one of the most advanced models of T-Touch family.The titanium case measures 45mm x 13mm with a sapphire crystal and WR100M rating.The quartz caliber Ref. E84.301’s specs are spot on for the movie.Touch screen of the watch allows the user to read the values for barometer, altimeter, split seconds chronograph, count down timer, compass and an alarm.The watch is also solar powered. T-Touch Expert Solar is available at Tissot's current collection with many case/dial/strap options. 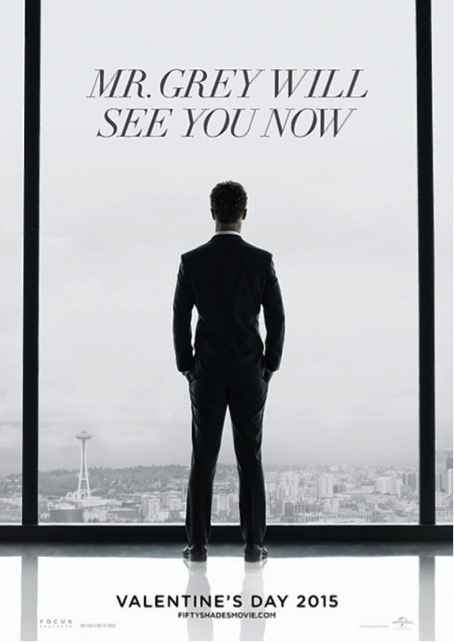 Directed by Sam Taylor – Johnson, Fifty Shades Of Grey is actually based on E.L.James best seller novel with the same title. Aimed to write a best seller novel with it's attracting sexual ingredients and effortless reading, the writer's success has got film producers' attention as well ended up creating the 7th position block buster for 2015.We congratulate both the writer and director for their accomplishment while wondering if the audience was aware of what sadomasochism means anyway..? We notice that young, handsome and successful CEO Christian Grey ( played by Jamie Dorman ) wears an Omega along his tailored dress and expressive smile. We actually do not have to notice the watch as it's been buried to our faces with the close up scenes. Omega Seamaster Aqua Terra 150M Co-Axial Chronograph has a stainless steel case with 44mm diameter.Both sides have sapphire crystals. The watch has the in-house caliber 3133 with the famous Co-Axial design offering 52h power resereve when fully wound. While we see a brown leather version in the movie, there are plenty of dial and strap/bracelet options for the model. 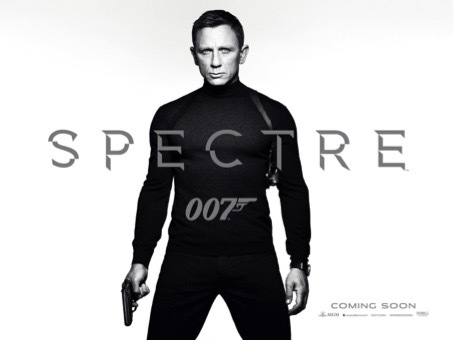 Well, we can not make a list without a James Bond movie. The adventure started with the cult movie Dr.No ( 1962 ) now keeps moving forward exclusively with the new brand partner; Omega. 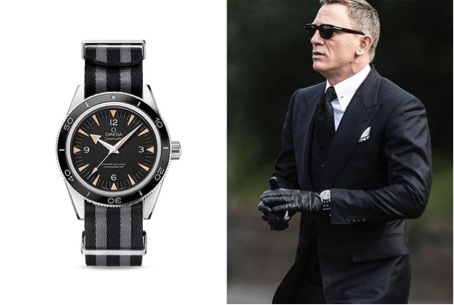 In the latest sequel of the franchise, James Bond ( played by Daniel Craig ) wears the recently launched version of the successful Seamaster 300 Professional series. The watch features double sapphire crystals on the 41mm diameter stainless steel case with a WR300 rating. Omega SMP 300 is powered by the hi-tech caliber Co-Axial 8400. 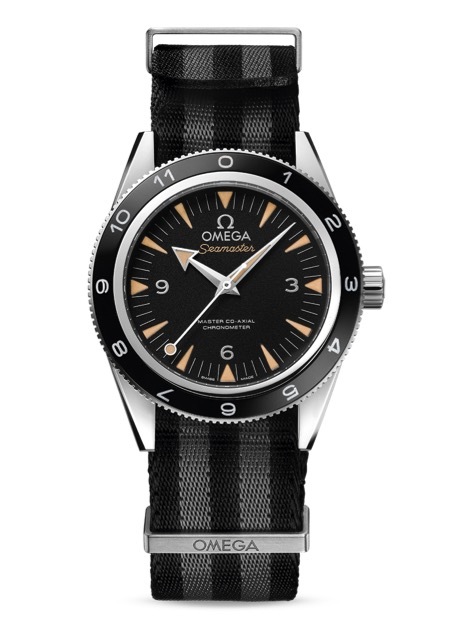 Undoubtedly the most appealing part of the watch is it's Nato type strap paying tribute to the earliest James Bond movie. 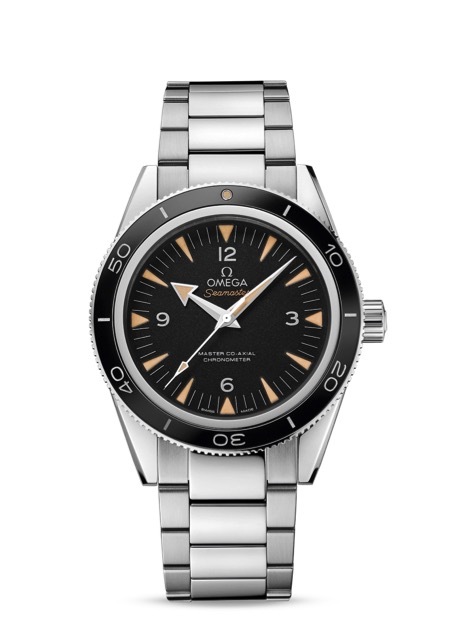 By the beginning of the brand partnership between James Bond franchise and Omega, the brand offers limited/special edition time pieces of every possible occasion.This pattern goes with the latest movie as well. The Spectre Edition is limited to 7007 pcs. The differences between the LE model and the regular model are the nato type strap, bezel insert numbers and the second hand.